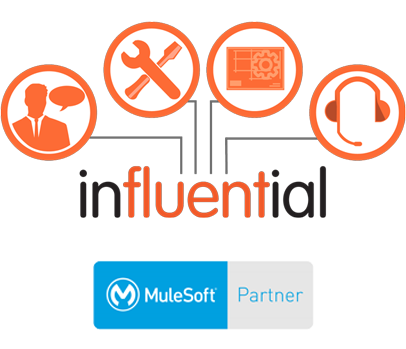 end-to-end MuleSoft services from certified experts. Our end-to-end MuleSoft services are a simple, cost-effective approach. See your time-to-value drop by as much as 50 percent. Upskill your staff, optimise your integrations, add custom development, and find solutions to your recruitment needs. MuleSoft brings the software, we bring the strategy. Let us customise and optimise in line with your specific business goals. Besides MuleSoft, we’re also partners with SAP, IBM, and Microsoft. That gives us a unique advantage in integration. Our MuleSoft consultants can identify cost efficiencies and reduce implementation times by as much as 50 percent. Our MuleSoft deployment team ensures the technology is installed, configured, integrated, and optimised. Let our expert MuleSoft developers connect your applications, data sources, and APIs for modern efficiency and security. Gain peace of mind with a MuleSoft Partner support team that solves issues before they can do damage. If you’ve struggled with finding MuleSoft talent when you need it, our dedicated MuleSoft recruitment agency is the answer. Gain the skills and certifications you need with public, private, and online classes from official MuleSoft trainers. Avoid overspend and ensure long-term performance with an expertly selected MuleSoft licence. The client’s field workers use a bespoke web application. There were challenges around the time-consuming, error-prone steps needed to load data from the web application into the client’s ERP system. The Influential MuleSoft team met the client’s brief of providing a streamlined integration based on MuleSoft best practice. This gave a rapid turnaround while allowing for additional functionality as and when the client required. Our systems integration work created a real-time transfer of order data to the central ERP system. This allowed business leaders to view up-to-date product and customer data from all field workers simultaneously. On the basis of this data, decision makers were able to better allocate time and resources, giving the company a competitive advantage. The Influential Software team has been delivering quality business software, services, and training for over 25 years. As a certified MuleSoft Partner, we are experts in data integration and the key technologies used in MuleSoft Anypoint Platform. Our UK teams work on- and off-site for enterprises of all sizes, from FTSE 100/250 companies to SMEs. The result is hundreds of successful projects and long-term client partnerships. *Required Please leave this field empty. Our team will contact you within one working day.